By increasing the surface area on the base of the heel, the High Heel Protectors reduce the pressure on this area and prevents the heel from sinking into grass or falling into cracks! Heel protector can help you, attaches easily to most stiletto and kitten heels. 9 pairs high heel protectors with 3 different size (small / middle / large) and 3 pairs heel stoppers each. 3 Sizes Available: Small (0.35 in / 9 mm), Medium (0.43 in / 11 mm) and Large (0.51 in / 13 mm). Please check our sizing chart to select the right size for your shoes. 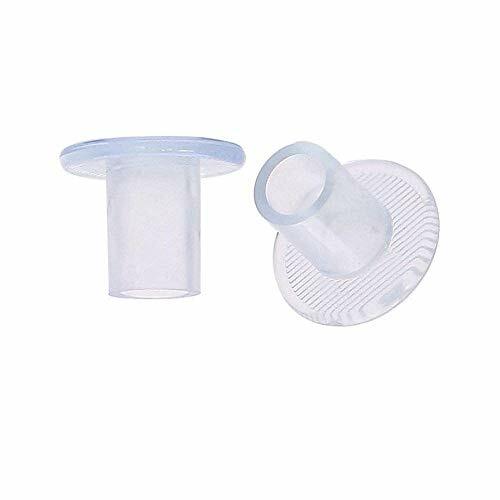 Proper Bottom diameter: the bottom of high heel protector diameter is 30 mm, High heel protector Protects heels from sinking into grass, mud, cracks and grates. Anti-slip design: with anti-slip stripes at the bottom of heel protector, they can prevent you from getting injured or falling down when walking on uneven surfaces. Good and safe accessory for outdoor weddings, celebrations, parties and graduations etc. If you have any questions about this product by Ryan Smith, contact us by completing and submitting the form below. If you are looking for a specif part number, please include it with your message.